UWHARRIE NATIONAL FOREST, NC (March 7, 2013) – Tread Lightly! proudly welcomes John Deere as its newest sponsor in Restoration for Recreation™, an initiative established to create an ever-growing alliance of public and private sponsors donating funds to keep the great outdoors healthy, accessible and open to the public for the benefits and enjoyment of responsible recreation. Originally launched by Tread Lightly! in 1997, the Restoration for Recreation projects can range from a simple litter clean-up to restoring habitat or maintaining and making improvements to recreational assets like a network of trails or campgrounds, even new construction of a facility.primary goal of Restoration for Recreation is to generate voluntary funding from the private sector to leverage with the limited resources of government agencies responsible for managing recreation on America’s public lands and waters. As a pilot Restoration for Recreation project, John Deere is donating cash and volunteers and the local John Deere Dealer, James River Equipment in Asheboro, NC is donating the use of heavy equipment, as well as volunteers to help offset some of the costs incurred by the U.S. Forest Service to manage the use of Off-Highway Vehicles (OHVs) on one of the country’s most heavily visited national forests – the Uhwarrie National Forest. Situated between North Carolina’s growing metropolises of Raleigh, Greensboro and Charlotte, the project will promote resource stewardship throughout the Badin Lake OHV Trail Complex by constructing three new informational trailhead kiosks, installing approximately 700 feet of wooden guiderail and mitigating impacts to water quality from the use of OHVs in the forest. 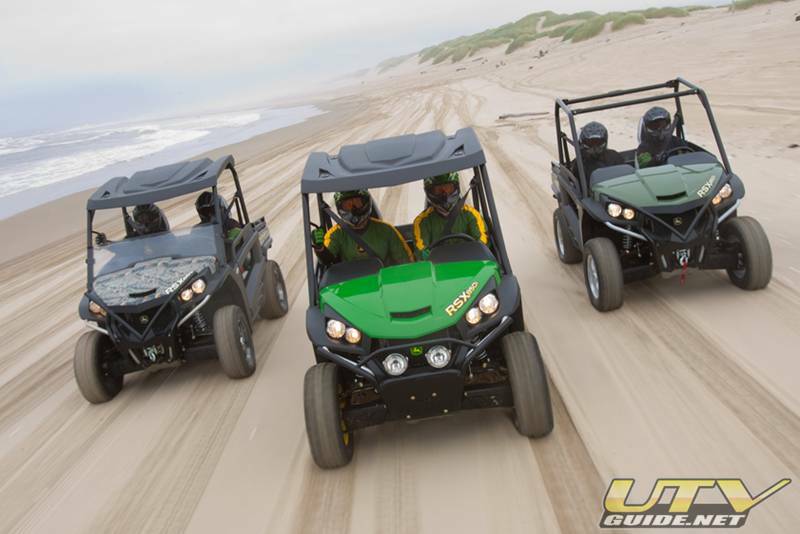 John Deere’s Cary, NC facility, just about an hour’s drive from the Uhwarrie National Forest, is the primary location for the marketing and sales activity across the Eastern U.S. for a growing line of John Deere utility vehicles. One of the fastest growing trends in outdoor recreation in America is the use of motorized vehicles like a John Deere Gator RSX 850i, also referred to as an OHV. The number of recreationists that utilize an OHV as part of their favorite recreational activity or to just access their favorite recreation destination has risen sevenfold in less than three decades. 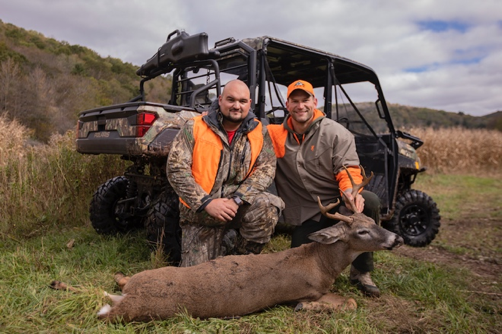 With an increase in the use of OHVs by outdoor enthusiasts comes an increased need to heighten the public’s level of awareness for operating an OHV in a safe and responsible manner on public or private lands. By helping America’s public agencies better manage sustainable outdoor recreation, Restoration for Recreation provides corporations tangible opportunities to protect and positively impact their bottom line. Join representatives from John Deere, Tread Lightly!, the U.S. Forest Service, James River Equipment, regional clubs and the 40-50 volunteers already anticipated to lend a helping hand during St. Patrick’s Day weekend, Mar. 16thand 17th. Help protect recreation access and opportunities on the Uhwarrie National Forest, the public’s number one destination to enjoy OHV recreation in North Carolina. A special thanks to representatives from the Uhwarrie Off Road Training Center for their dedication to ensuring this project’s success and the Southern Four Wheel Drive Association for engaging volunteers and also donating heavy equipment to be used to complete this vital stewardship project.